HomeNewsIs The US Going To Use Ebola As An Excuse To Close Borders and Keep Citizens From Leaving? With the news released today that Kenya is closing it’s borders to travelers from Ebola states (link), people across the globe are beginning to wonder what is really going on with the Ebola crisis. First of all, Kenya is not the first country to close it’s borders and it certainly will not be the last. So far, Nigeria, Sierra Leone, Guinea, and Liberia are among the countries that have banned travelers from entering their countries from infected countries. However, there is a bigger question looming: will the United States, the United Kingdom and other western countries begin to ban travelers from not only entering the country, but citizens of these countries from leaving? It sounds like a story made for a Hollywood film, but how close is this to being a reality? First of all, to understand the situation, let’s take a look at the facts of the ongoing Ebola crisis. April 16, 2014 – The New England Journal of Medicine publishes a report, speculating that the current outbreak’s Patient Zero was a two-year-old from Guinea. The child died on December 6, 2013, followed by his mother, sister and grandmother over the next month. 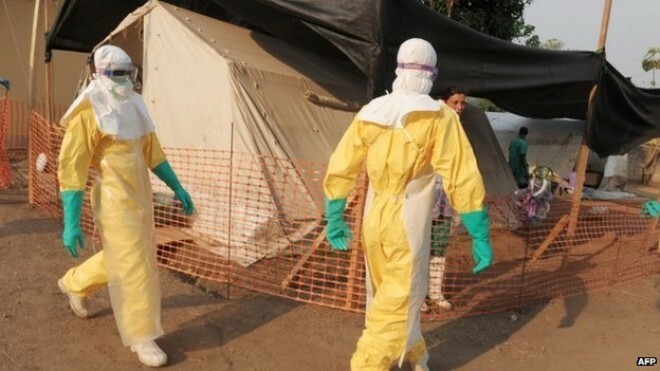 July 2014 – Nancy Writebol, an American aid worker in Liberia, tests positive for Ebola. According to Samaritan’s Purse, Writebol is infected while treating Ebola patients in Liberia. July 26, 2014 – Kent Brantly, medical director for Samaritan Purse’s Ebola Consolidated Case Management Center in Liberia, is infected with the virus. According to Samaritan’s Purse, Brantly is infected while treating Ebola patients. July 29, 2014 – According to Doctors Without Borders, Dr. Sheik Humarr Khan who was overseeing Ebola treatment at Kenema Government Hospital in Sierra Leone dies from complications of the disease. July 30, 2014 – The Peace Corps announces it is removing its volunteers from Liberia, Sierra Leone and Guinea. July 31, 2014 – CDC raises its warning to Level 3. 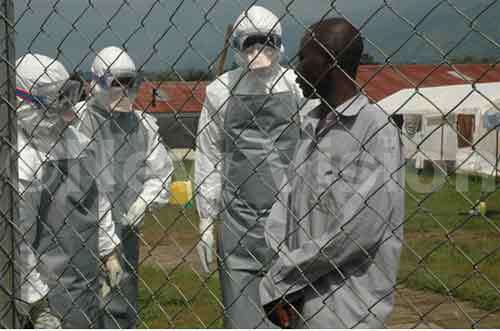 It warns U.S. residents to avoid “nonessential travel” to Sierra Leone, Guinea, and Liberia. August 2, 2014 – A specially equipped medical plane carrying Ebola patient Dr. Kent Brantly lands at Dobbins Air Reserve Base in Marietta, Georgia. He is then driven by ambulance to Emory University Hospital in Atlanta. August 6, 2014 – Nancy Writebol arrives at Emory in Atlanta for treatment. 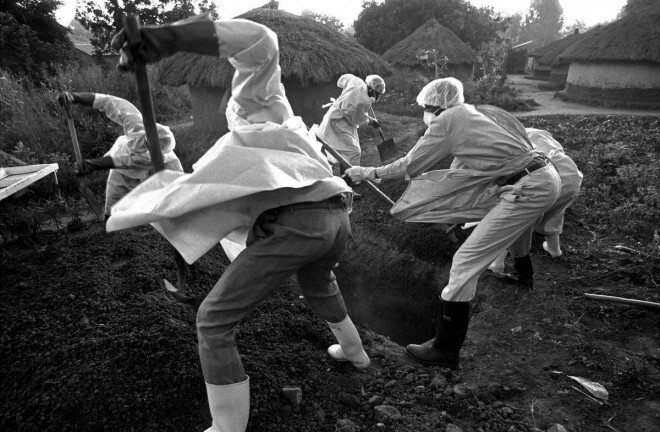 August 8, 2014 – Experts at the World Health Organization declare the Ebola epidemic ravaging West Africa an international health emergency that requires a coordinated global approach, describing it as the worst outbreak in the four-decade history of tracking the disease. So far, we know that this is the worst outbreak of Ebola in recorded human history. Ebola is a deadly virus that, according to multiple health agencies, “Once the virus enters the body, it targets several types of immune cells that represent the first line of defense against invasion. It infects dendritic cells, which normally display signals of an infection on their surfaces to activate T lymphocytes—the white blood cells that could destroy other infected cells before the virus replicates further. With defective dendritic cells failing to give the right signal, the T cells don’t respond to infection, and neither do the antibodies that depend on them for activation. The virus can start replicating immediately and very quickly. You can find pretty horrifying reports like this across the internet and various media sources on repeat. But, what is even more interesting is what is happening behind the scenes. Now that we know a sampling of the “official facts”, let’s look at the further implications that this virus is causing. You see, as with many epidemics, there often becomes a new path to push legislation through that otherwise would die. Let’s start with Rep. Alan Grayson, D-Fla., who requested on July 30th, 2014 in a letter to Department of Homeland Security Secretary Jeh Johnson and Secretary of State John Kerry that the American borders be closed to the countries infected with Ebola. Now, on the outside, this seems like a pretty harmless request. Ask for “border protection” so that the virus doesn’t hit the United States. The problem? Well, there are two verified people who have been (for the first time in history) flown to the United States to be treated. This, coupled with the dozens of other Americans who are currently being tested for the virus should raise a red flag for those in western countries. Why? Well, for starters, Grayson isn’t the only one asking for the United States borders to be shut down. In an article on PolitiFact.com entitled, “Rep. 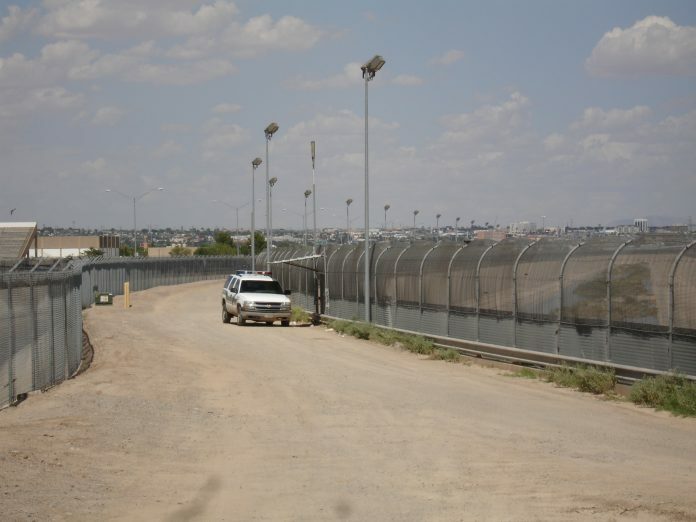 Phil Gingrey says migrants may be bringing Ebola virus through the U.S.-Mexico border”. Now, isn’t that odd? Another United States representative in the government asking for border control due to Ebola… from Mexico? 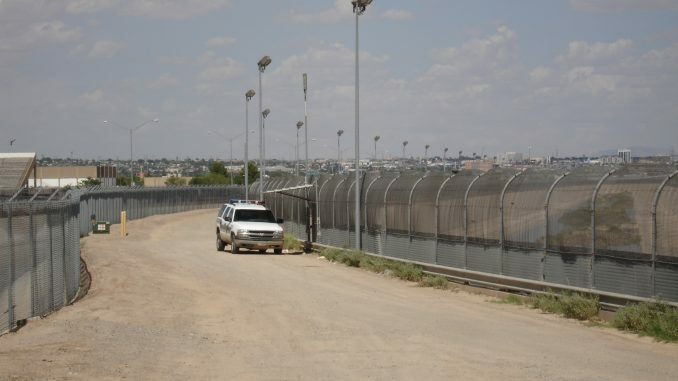 Mexico is thousands of miles from the affected areas, yet Rep. Gingrey writes in his open letter, “‘As you know, the United States is currently experiencing a crisis at our southern border. The influx of families and unaccompanied children at the border poses many risks, including grave public health threats. So, why should we care? It’s just some US politicians asking for the protection of it’s citizens, right? Well, yes…no… maybe? Here’s the thing. There have been whispers for years of the American borders not just being closed to illegal immigrants, but also to United States Citizens. In other words – if you live in the US and you don’t like what’s happening, there is no way out. So is there anything to the Ebola claim? Which brings us back to our original point: what does this drumbeat that the United States is slowly starting really mean for citizens of Western countries? According to NPR, United States citizens are abandoning their citizenship in record numbers. With the United States’ police forces becoming more and more militarized, as evidenced in the recent Ferguson, MO incident, people want out. The problem? Government loses control when people abandon their own country. Slowly, we are being introduced to the idea of “closing borders” from “one side” (coming IN to the country), but what is missing from these reports is the truth that this can very, very easily lead to not allowing American citizens to leave their own country if they feel fit. Just this past week, a Princeton University study said that the United States is no longer an actual democracy (link here). This should have raised not only anger, but movement in the American people to ask why… yet, it has not. The Ebola Virus scare may mean a thousand things to a thousand different people, however, we in the west must be aware that our borders being shut down isn’t a one way street. We could very well be the prisoners in our own country, and really, who wants that?